Dec. 12, 2011, 10 a.m. The veteran blogger will be testing the limits of original news content on the social web. By Megan Garber @megangarber Dec. 12, 2011, 10 a.m.
Late last night, in a move “sure to surprise the political and journalistic classes,” Buzzfeed announced that it’s made a new hire: Ben Smith. The Ben Smith, of Politico fame, the blogger who helped define what it means to be a political reporter who just happens to do his reporting in the digital space. So, starting January 1, Smith will leave his blog at Politico (he’ll stay on as a weekly columnist) to become Buzzfeed’s editor-in-chief. He’ll be charged with expanding the social aggregation site’s editorial coverage through the launching of new content sections (topics to be announced), the writing of his own content, and the hiring of reporters whose work he’ll be editing. Yep, reporters. More than a dozen of them, in fact. “My basic view, all along, has been that you can take the values of good, straight reporting and apply them” to web reporting, Smith told me in a phone call. At the same time, though, “you don’t have to be yoked to the conventions.” The online space is above all an experimental space. And within the social space, Smith points out, one of the things people most like to share is news that is actually, you know, new. As Peretti told me last week, people are increasingly aware of themselves not just as consumers of content, but as curators of it. They increasingly appreciate the role they play as, if not breakers of news, then disseminators of it. And that means that newness itself has viral potential — and that Buzzfeed, newly Smith-ified, will put a premium on new content. Explanatory reporting, as well as Buzzfeed standbys like graphics and video content, will also be part of the mix — but the core of it all will be hard news. “Great reporting and scoops will speak for themselves,” Smith says. So…phone calls, shoe leather, boots, ground, the whole thing? Yep: “Phone calls, trips to Iowa, drinks with political operatives,” Smith says. POSTED Dec. 12, 2011, 10 a.m.
Garber, Megan. 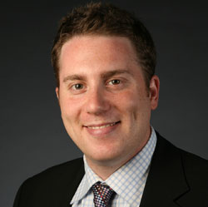 "“A very natural thing for me”: Politico reporter Ben Smith on his move to Buzzfeed." Nieman Journalism Lab. Nieman Foundation for Journalism at Harvard, 12 Dec. 2011. Web. 20 Apr. 2019. Garber, Megan. "“A very natural thing for me”: Politico reporter Ben Smith on his move to Buzzfeed." Nieman Journalism Lab. Last modified December 12, 2011. Accessed April 20, 2019. https://www.niemanlab.org/2011/12/a-very-natural-thing-for-me-politico-reporter-ben-smith-on-his-move-to-buzzfeed/.